Renault rounds off its high-end range with a brand new D-segment SUV, the new KOLEOS. The new model will play a key role in Renault’s product offensive that has seen a record-breaking year with the introduction of 10 new vehicles across the world. 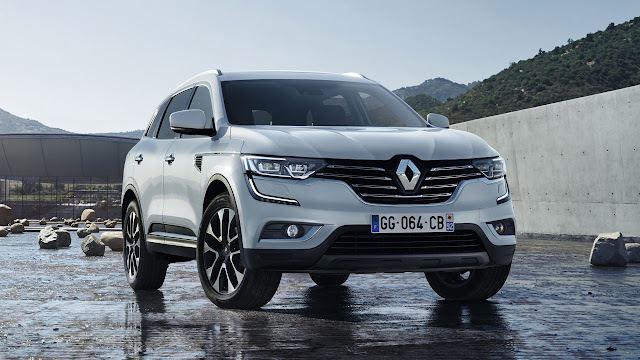 The new KOLEOS is designed and engineered with global appeal to play a part in boosting Renault’s international growth, including China where Renault opened a plant in Wuhan earlier this year. Renault Chairman and CEO Carlos Ghosn will reveal the new KOLEOS at the Beijing International Automotive Exhibition on April 25th, 2016. The new KOLEOS boasts a powerful stance that sets it apart from its D-segment SUV rivals and provides a refined, comfortable interior that boasts record room for passengers. The new KOLEOS also delivers all-terrain ability while ensuring excellent ride and handling and stability.